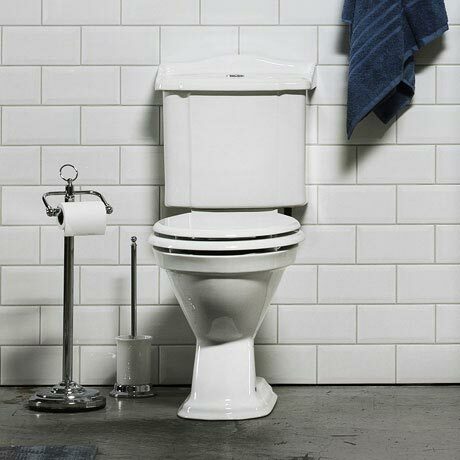 Miller's close coupled WC has been designed to compliment the Traditional 1903 range. Manufactured from fine ceramic its period styling adds elegance and luxury to any bathroom. Comes complete with a chrome flush button and easy to fit top fixing soft close seat with lift handle and chrome hinges. Please note: accessories shown sold separately.